Our crews are standing by and ready to assist - Call now! 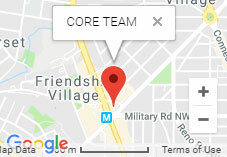 CORE TEAM’s staff has over 25 years of construction, property restoration, and real estate experience. Through various ventures, our skilled and highly qualified affiliates have provided outstanding disaster recovery, renovation, and specialty restoration services to a variety of industries and property types. CORE TEAM provides fast-track water damage mitigation in order to extract standing water and dehumidify existing components within your building to prevent further damage. We use state-of-the-art thermal imaging, borescopes, and moisture-reading equipment to fully assess areas behind walls and below floor systems. CORE TEAM can also stabilize fire and smoke damage, addressing issues such as securing the property, assessing losses, removing non-salvageable debris, and performing sensitive demolition. We will take care of the removal of soot, odor, debris, and hazardous materials as well as any water damage and structural repairs. When a natural disaster strikes your home or business, you need help fast. CORE TEAM is available 24/7 for emergency disaster response, from providing temporary generators, kitchens, and restrooms to site barricades and more. When a retail store closes its doors or discontinues operations at a specific site, it is considered a “dark store.” Without proper upkeep, these locations can be extremely harmful to the reputation of neighboring retailers and the local community. Poorly maintained dark stores can also expose property owners and tenants to increased liability or decreased property value. 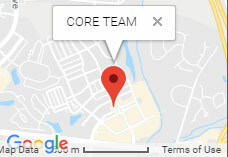 CORE TEAM offers professional retail facilities maintenance solutions that keep your dark store well-maintained, fully operational, and routinely inspected to ensure minimal negative impact. Click the button below to read more about our disaster restoration and facilities maintenance company, or contact us today to start a conversation.